Tactai - Why virtual reality? Why Now? Over the past 22 years, I have seen my career evolve from software development to entrepreneurship, to taking on operating roles, and to deal making as a VC investor and corporate development executive. Across all of these transitions, I can unequivocally say that I experienced the most fun and learning in building out startups. My forays into entrepreneurship have almost always been guided by a thesis that a new computing platform was emerging. Back in 1997, when Rajeev Tipnis and I got together to build Netmorf, our vision was very clear: everything that we then did on our web browsers would come to mobile devices. There was a tremendous opportunity but it was a nebulous one: devices were clunky (remember WAP browsers? ), data networks were slow (CDPD on your Palm Pilot VII? ), and user interfaces were primitive (Tegic T9 anyone?). Today, you are probably reading this on a mobile device — and not until the first iPhone appeared 10 years later did the mobile computing paradigm become real. And that has ushered in a revolution in ubiquitous smartphone based computing and put the Internet at the fingertips of several billion users who have a mobile phone as their only computing device. Today Virtual Reality / Augmented Reality (VR/AR) feels a lot like mobile computing did twenty years ago. Devices are too expensive and underperform user expectations; there are big gaps in user experience, and neither business models nor market leaders have been established yet. 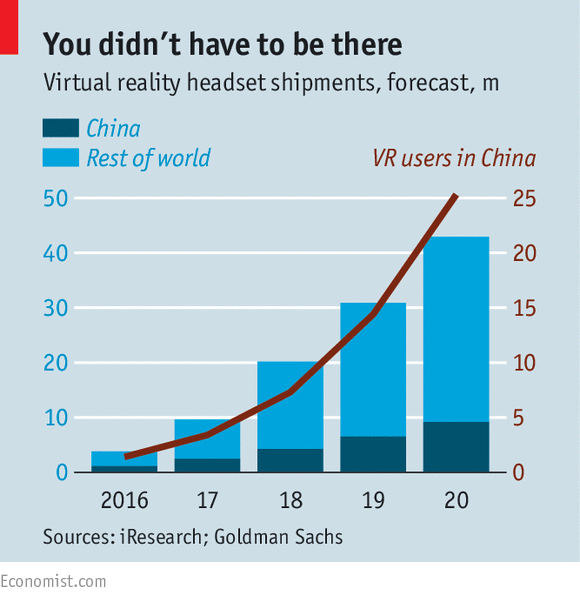 And like mobile before it, VR will be the next major computing paradigm. Immersive computing is engagement in the extreme: Every preceding computing model has been an outside-in view of an application. You are looking at a computer and it performs an expected set of tasks — it lives in a window or a tiny screen. In VR, you are inside the application — it is an immersive view. In AR, your real world is your primary environment and you are still immersed in it but you are just as immersed in the virtual world for some elements. Focus is not pre-determined and hence applications have to be rethought: Interactivity in the past was determined by the content author; in VR the entire application in a 360-degree sense is interactive and regardless of where the user is focused all of it is responsive or changing. You need to rethink your application, user interface (more on this in a separate post), and application design; get it right and you have truly immersed users. Online and mobile will no longer be enough: if your business is now online via a desktop site and a mobile app or site, then it will shortly (within the next three to five years) need an immersive site as well. So it was only natural that I was drawn to VR as my next focus for an entrepreneurial run. There are a few exciting developments in technology underway: IOT, drones, driverless cars, machine learning systems, and robotics have all seen a surge in viability. They have all been the beneficiaries of Moore’s Law, the plummeting cost of components, the ubiquity of cloud computing, and open source components that have made software development so much more efficient. VR is no exception. Although the hype around VR has been built up for decades now, a serious push has only been made over the last few years. All indicators are that it has now turned the corner — although it is still hard to project whether it will take two years or five to go mainstream. However, we are still missing a killer-app that will take it to the masses; it is up to those of us in the VR ecosystem now to deliver on the promise of a truly immersive new user experience to enjoy and share. Which brings me to what I am up to now: as part of the leadership team at Tactai, I am responsible for revenue generation for technology that delivers life-like virtual touch experiences. At Tactai, we enable content owners to layer on a “touch track” and VR/AR infrastructure vendors to play back those touch sensations using the same mechanisms we see in human biology. By bringing the missing sense of touch to the digital world, we enable truly immersive computing. About the author: Shyam is the Chief Business Officer at Tactai. Follow him @kamadoll on Twitter.